Mr Hobbs is best known for his Horrible Harriet and Old Tom children's book series and said despite living in the digital age, libraries and librarians were essential for schools. "I've got a real view about bureaucrats and politicians talking about literacy all the time, and at the same time libraries and librarians are disappearing, sort of seemingly one after another," he told News Breakfast. "The problem with that is that parents don't know about it, because teachers aren't allowed to write letters to the paper." 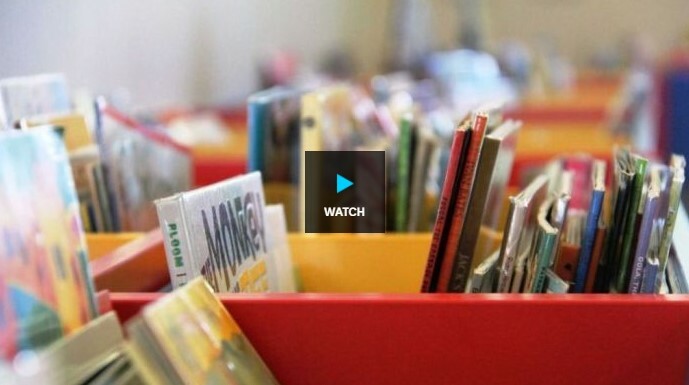 What are your thoughts on libraries and librarians "disappearing" from schools across Australia? Join the discussion. Mr Hobbs is the current Australian Children's Laureate — a position appointed by the non-profit Children's Literature Alliance to promote reading and literacy — and has been touring the country visiting schools and libraries. He acknowledged the rise in digital resources presented a handy alternative to some physical books, but said librarians had expertise that could not be replicated online. "They fulfil a very important role. Like teaching kids how to research and all these literacy skills," he said. Exact figures on the number of teacher librarian roles remaining in Australia — and what these roles look like — are hard to come by. A 2010 Federal Government inquiry into school libraries concluded there was a "fundamental need to collate some hard data to ascertain how many teacher librarians there are in Australia's primary and secondary schools". "It is indisputable that the value of teacher librarians' work has been eroded over the years and undervalued by many in the community," the inquiry also found. For those in the business, the trend towards downsizing or closing school libraries is clear. Rick Susman set up the Booklegger company in 1978 to sell non-fiction books to school libraries, and in June this year finally made the call to shut down the distribution business. He will now focus on digital subscription services. "Six years ago I was selling $1.25 million worth of print books — that's non-fiction reference books — into school libraries around Australia," he said. "Last financial year it was $100,000. "That's a 93 per cent drop in five or six years." Mr Susman said when he first started Booklegger 39 years ago, every primary school in Victoria had a teacher librarian, but times had changed significantly. "There are schools, including private schools, where there's no commitment to a library at all and where schools have just hived off responsibility and said, 'Oh we'll just put a whole lot of books in classrooms'," he said. Australian company Softlink provides library management systems and for the past seven years has also conducted research into school libraries and their relation to literacy rates. Its 2016 report echoes the findings of the 2010 Government report that there appears to be a link between library funding and literacy achievement. "The 2016 findings continue to indicate a relationship between well-funded and well-staffed libraries and student achievement," Softlink found. "The findings show, once again, a correlation between high NAPLAN literacy results and a well-resourced library." 1 Response to "School libraries 'disappearing' as the digital age takes over"
Digital library are not that much sweeter as the books.